There are at least two artists with the name Heavenly. 1. 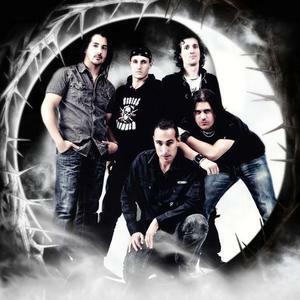 A French power metal band (active from 1994 to present) 2. An English indiepop group (active from 1989 to 1996) 1. Heavenly, a power metal/neo-classical metal band from Paris, France, were formed in 1994 by vocalist Benjamin Sotto and drummer Max Pilo. They were originally a cover band and played under the name of 'Satan's Lawyer' before evolving into a fully-fledged Helloween-influenced power metal outfit. 1. Heavenly, a power metal/neo-classical metal band from Paris, France, were formed in 1994 by vocalist Benjamin Sotto and drummer Max Pilo. They were originally a cover band and played under the name of 'Satan's Lawyer' before evolving into a fully-fledged Helloween-influenced power metal outfit. In 2000, Heavenly released their debut album 'Coming From The Sky.' Although it was largely shunned by the media, the album proved a hit with metal fans and its success helped Heavenly land an appearance at the French Hard Rock Festival. Heavenly released their second album Sign Of The Winner in 2001, and received positive feedback from both fans and media alike. After appearing at Wacken (the world's biggest metal festival) in 2002, Heavenly set to work recording their third album, 'Dust To Dust,' which was eventually released in early 2004, further solidifying their status as one of France's premier power metal bands. 2. Heavenly were a 1990s indiepop band formed in Oxford, England in 1989. Amelia Fletcher (vocals), Mathew Fletcher (drums; Amelia's brother), Peter Momtchiloff (guitar) and Robert Pursey (bass) had all been members of Talulah Gosh, a key band of the c86 scene which preceded the indiepop movement, formed in 1986. Heavenly debuted with the 7" single I Fell in Love Last Night, followed by another 7", Our Love Is Heavenly, both released in 1990 on Sarah Records. Heavenly Vs. Satan, the group's debut album, came out in 1991. They went on to release three more albums: Le Jardin de Heavenly, The Decline and Fall of Heavenly, and Operation Heavenly. Shortly before the release of their final album in 1996, Mathew Fletcher, the band's drummer and Amelia's brother, committed suicide. The remaining members announced that the band name Heavenly was to be retired. The other members regrouped with a new drummer as Marine Research, a moniker under which they released a single album, 1999's Sounds From The Gulf Stream. The band's core members reformed in 2002 as Tender Trap.